The winter is in full swing and the chance of roof damage has hit its peak due to heavy snowfall and ice accumulation. It’s not uncommon for homeowners to think the removal process is as easy as shoveling their driveway, but if not properly cared for, you can end up doing more harm than good. Leave this dangerous work to the professionals who have the proper experience and equipment. Water leaks from ice and snow. Water trapped on your roof is caused by interior heat from your home, creating an ice dam on your roof, gutters, and downspouts. The water then ends up inside your home, creating interior and exterior water damage. Keep in mind, melting ice and snow yourself with rock salt or calcium chloride may seem like a good idea, but it is not recommended – you’ll end up damaging your shingles. Clogged gutters and downspouts. Once the water stuck in your gutter freezes, the ice expands, causing a blockage. If you notice your gutters or downspouts are filled with ice, call a professional to repair the issue and be sure to set up a regular cleaning to reduce the risk of them getting clogged with ice again in the future. Structural damage to your roof. Roofs are built to withstand a certain amount of weight, but the accumulation of snow can take its toll on this sturdy structure. Avoid a collapsing roof and find out how much snow your home can handle. 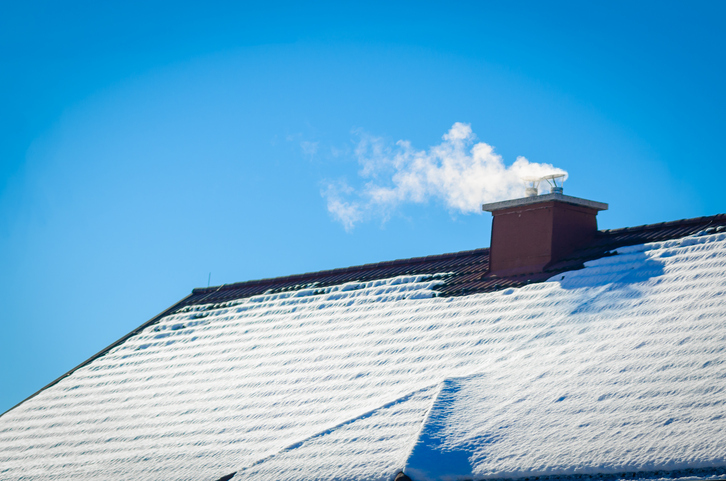 Removing snow and ice from your roof may seem like an easy task, but it’s a job made for the experts. To help you eliminate the odds of leaks and structural damage this winter, turn to Landmark Exteriors for our Home Care services. We can provide you with roof inspection and repair, gutter repair, snow guard installation, ice damming, and more! Keep your roof in excellent condition and give us a call at 203.838.3838.